When I was in Rome last week, the Danish Ambassador to Italy, Gunnar Ortmann, was of course present at the Dreams on Wheels exhibition and conference. He got there by bicycle and often rides around the city in Her Majesty's service. 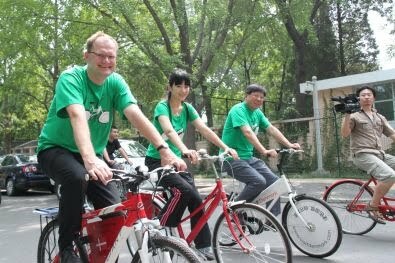 Here's the functioning Danish Ambassador to China, Søren Jacobsen on a bike ride organised by the Embassy. 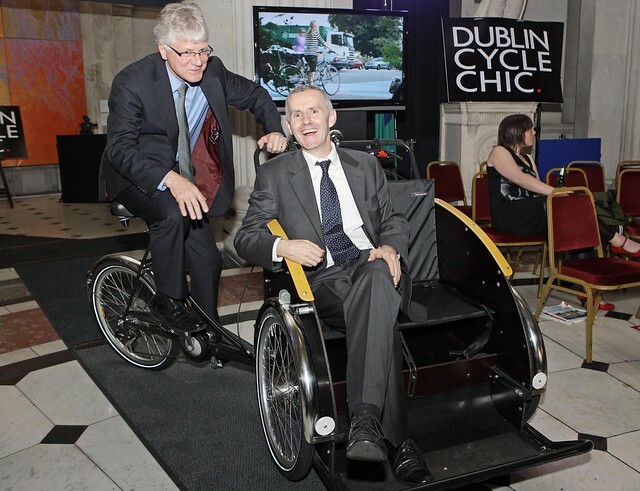 The Danish Ambassador to Ireland, Niels Pultz, giving Ciaran Cuffe - Minister of State with special responsibility for sustainable transport - a ride on the Christiania bike at the Cycle Chic event in Dublin earlier this year. 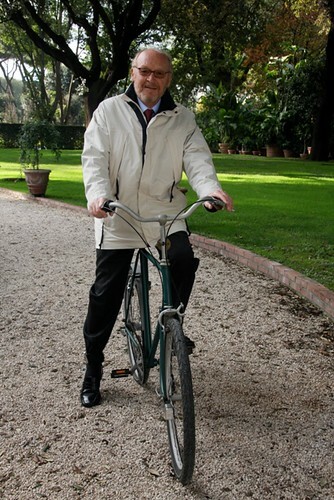 Ole Moseby, Danish Ambassador to the Czech Republic on the embassy's official Christiania bike. The Danish Ambassador to Japan, Franz-Michael Skjold Mellbin. 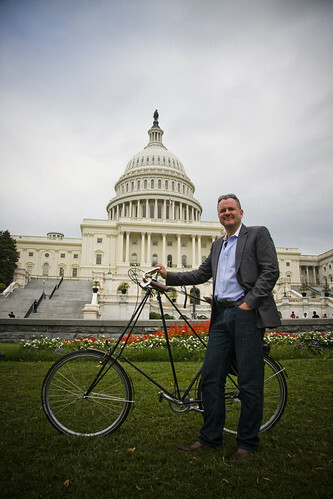 Torsten Jansen, Head of Public Diplomacy, Culture and Communication for the Danish Embassy in Washington DC. And here's a great post from the Dutch in Dublin blog about the bicycle-riding Dutch ambassador to Ireland.